Beadling is back for its second National League season after a mid-table finish as an Under-15 side in 2013-14. The Pittsburgh area team has dominated the US Youth Soccer Pennsylvania State Cup and is coming off successful year that saw it win the 2015 US Youth Soccer Region I Championship. Beadling’s defense has been its key to success, as it went through Regionals without conceding a goal. During its 2013-14 National League season, each of the PA West side’s four wins came via the shutout. Expect some intense, low-scoring affairs when Beadling takes the field against National League Blue Division opponents. Kings Hammer has a chance to earn a second straight top-two finish in the National League, as it looks to repeat its 2014-15 success that resulted in a Red Division runner-up showing. After dropping its first match of the season, KHA went 4-0-2 in its final six games to edge out Beach FC 98 Academy (CA-S) in a second-place tiebreaker. The Kentucky side displayed an ability to get positive results in several close games — an attribute that will help KHA moving forward in the 2015-16 National League season. After a couple years of knocking on the door, La Roca broke through in 2015 and made a run to the National Championship semifinals. The Utah side won the 2015 US Youth Soccer Region IV Championship after making deep runs at the event the two years prior. La Roca then finished atop Group A at Nationals, but it fell, 2-1, in overtime of its semifinal matchup to ends its run at the National title. Nevertheless, La Roca proved it can hang with the top teams in the country, and it should be a team to watch out for in this year’s National League Blue Division. Entering its third season in the National League, Legends is looking to secure its first top-two league finish. The Cal South side recorded a mid-table finish last season and placed seventh in its group in 2013-14, despite earning a positive goal differential. In addition to its experience in the National League, Legends competed at the National Championships in 2014 as the Region IV Representative. Legends will need to use its past experiences to take the next step in the National League as it competes for the Blue Division crown. After winning the US Youth Soccer Missouri State Cup, Lou Fusz came just one win away from Nationals when it finished second at the 2015 US Youth Soccer Region II Championships. The Missouri side will get its chance to compete against teams from across the country in this year’s National League, and a good showing could lead to a top-two finish and trip to the National Championships. Lou Fusz managed a winning record in the US Youth Soccer Midwest Regional League despite a shortened roster for a portion of the season. With a full complement of players, it will look to make some noise in its first National League season. Loudoun should have some confidence entering its second National League season after it finished third in the Blue Division a year ago. The Virginia side won all three of its games in Orlando to momentarily take hold of second place, but Region I foe YMS Premier Xplosion (PA-E) jumped Loudoun in the standings during the last weekend of the season. If Loudoun can replicate its defensive effort from a year ago — when it allowed just four goals in its seven league games — it will have a good shot at finishing near the top of the division standings once again. Sunrise is entering its first National League season in 2015-16 and is aiming to book a ticket to the National Championships for the first time. The Florida side has enjoyed some recent success in league formats, as it finished first in the East Division standings of the US Youth Soccer Southern Regional Premier League. 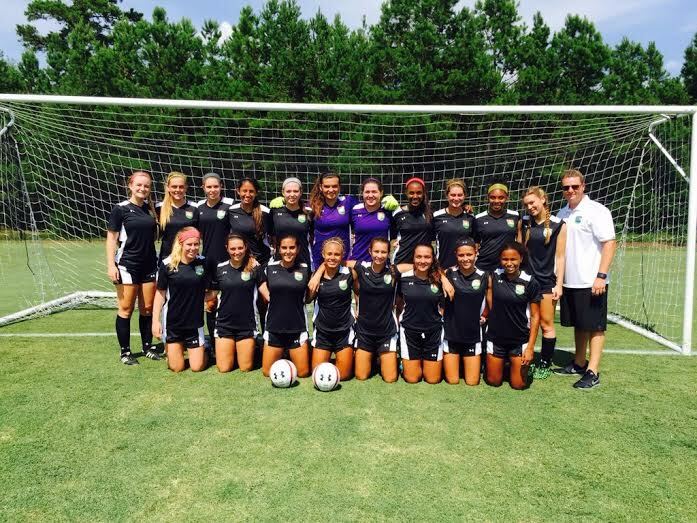 Sunrise went 10-1-0 to finish above a field that included past US Youth Soccer Region III and National Champions. If Sunrise can recapture that level of play for the National League season, it should be in for contention for the division title. Brasilia will be making its first appearance in the National League this season and will aim to repeat the success of Team Chicago’s National Championship-winning Under-18 Girls side from 2013. That squad won its National League division en route to the National title. This squad enters the 2015-16 season coming off of a second-place finish in the Midwest Regional League Premier I Division, where it went 6-2-1. Brasilia dropped its first two MRL contests before finishing with six wins and a tie in its final seven games. A hot streak like that could lead to a top-two finish in the National League.